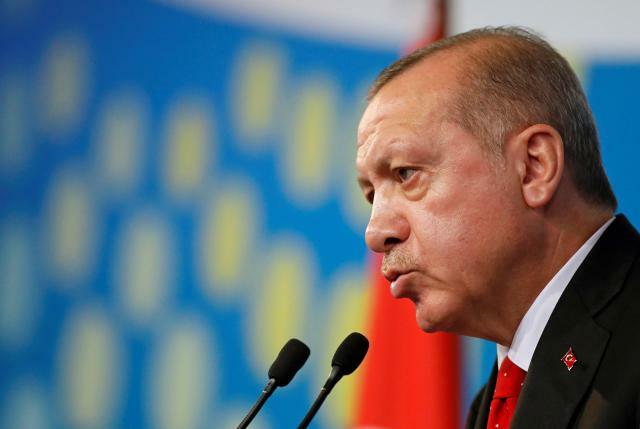 President Tayyip Erdogan said on Saturday that Turkey’s insistence on finding the truth behind the recent killing of journalist Jamal Khashoggi was not aimed at damaging the Saudi royal family. Speaking to reporters at the G20 summit in Buenos Aires, Erdogan said that solving the Khashoggi killing would also be in the interest of the Saudi monarchy. “We have never seen this as a political issue,” Erdogan said. Khashoggi’s killing at the Saudi consulate in Istanbul has strained Saudi Arabia’s ties with the West and battered the image overseas of its de facto leader, Crown Prince Mohammed bin Salman. After offering numerous contradictory explanations, Riyadh later said Khashoggi had been killed and his body dismembered when negotiations to persuade him to return to Saudi Arabia failed. Erdogan has said the killing was ordered by the highest level of Saudi leadership but probably not by King Salman, putting the spotlight instead on the 33-year-old crown prince. “We have no interest in harming the Saudi Arabian state or the Saudi royal family. We believe bringing to light all aspects of the murder and prosecution of all perpetrators will be in the interest of Saudi Arabia,” he said. Canadian Prime Minister Justin Trudeau said he brought up the Khashoggi issue while at the summit. At a news conference in Buenos Aires, Trudeau said he had a “frank conversation” with the Saudi crown prince at the leaders’ dinner on Friday. “I spoke to the crown prince to highlight our concerns and the need for better answers on the killing of Khashoggi and the need for cease fire in Yemen,” Trudeau said. Western nations are calling for an end to the Saudi-led military campaign in neighboring Yemen, which was launched by Prince Mohammed, as a humanitarian crisis there worsens. Erdogan also said Prince Mohammed had sent his chief prosecutor to Turkey to investigate the Khashoggi killing, but the prosecutor failed to share information with Turkey. Turkey has evidence documenting that Khashoggi, a Washington Post columnist and a critic of the crown prince, was killed in 7-1/2 minutes, Erdogan said. He said Ankara has shared this evidence with all countries who requested it, including the United States, Britain, Germany and Saudi Arabia.